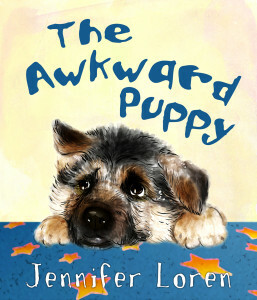 The Awkward Puppy is about a puppy who’s ears are too long, his tail too strong and his heart too curious for his own good. He tries desperately to please, but still can’t help the mess he creates. The awkward puppy finds himself desperately needing the right family and home in order for the specialness about him to show. This book is for children and anyone who loves a story about a puppy so awkward that his specialness is a gift to anyone who takes a chance to own him. Please see Riley’s story for the true story of the dog that inspired this book.